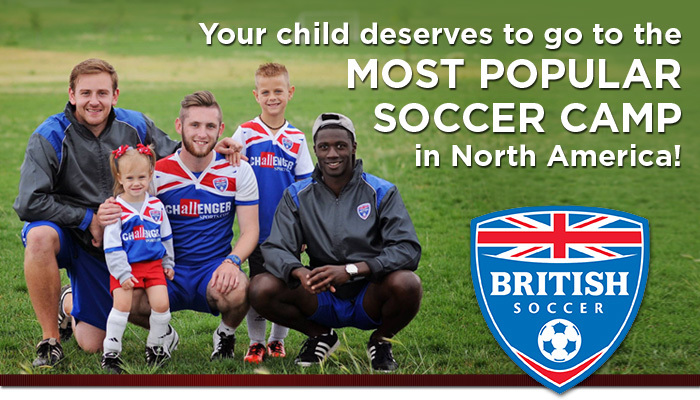 is pleased to announce a partnership with Challenger Sports, providers of North America’s most popular soccer camp, to host a week long British Soccer Camp. Caledon Soccer Club is pleased to announce partnership with Challenger Sports, the leading soccer camp company in North America. Challenger have recently combined the most popular elements of their two existing industry-leading camp programs, British Soccer and TetraBrazil, with a collection of some of the most effective soccer practices used by youth teams around the world. This summer - July 8th - 12th at Caledon Soccer Fields, 6311 Old Church Road, Caledon, ON, L7C 1J6 - We are excited to host this brand new, innovative and fully integrated soccer camp that will accelerate the learning process of our players! - These Camps reflect the truly global nature of the sport today and provides young players with a wide variety of coaching styles, practices, and influences that will help them develop a well-rounded skill set. The camp will also feature a ground-breaking technology partner which will provide players with an app-based platform which will help them learn skills quicker and more efficiently during the camp, and then help them to continue their education and skill development with camp homework and on-going virtual training throughout their season. This combination of on and off-field skill development will both engage and entertain players and will encourage them to push the boundaries of their talents. Each camper will receive a FREE camp T-shirt, soccer ball, soccer poster/Certificate and free access to 20 free videos on the new I-Challenge App. In addition, any child who signs up online by June 8th will receive a genuine International Soccer Replica Jersey for just the cost of the shipping. (Valued at $39).